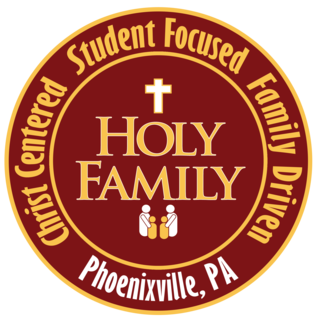 Holy Family School will be closed Tuesday, December 10 due to inclement weather. January's Lunch Menu is now available. The form is easy to fill out online! Fill in the student's name and make your selections by clicking in the appropriate box. If you are selecting an extra slice of pizza - please make sure to check both the regular box and the extra slice box! The payment at the bottom of the form will automatically calculate. Then print the completed form and send it in to the office along with your payment (one check per family). Please return the form by Monday December 16th. Come out on Friday night and cheer on the Holy Family CYO Varsity Teams at Griffin Hall for the first games of the season. Varsity Girls play at 6:30PM and Varsity Boys play at 7:45PM - both teams will play Blessed Teresa. For the full Basketball schedule click on the title. Message from HFS Open Arms Mission Club Our December focus is on Mary, the first to believe in Christ! The first to make a place for Him in the world! Who better than She to guide us in our waiting as we long for the peace which was the message of the first Christmas. Students and teachers are asked to pray the Rosary, or perhaps just a decade of the Rosary, during December in your HFS classrooms or with your family at home. A bulletin board display is in the school lobby to show Jesus' Birthday! Gift bags for every grade are placed on the bulletin board and we ask that every time a prayer of the Rosary to Mary is shared, the student will fill out a small tag with his/her name, and place it in the gift bag that shows the grade level. Open Arms Mission Club will count how many times we, as a school, prayed the Rosary and offered prayers to Mary during the 15 school days in December. Please join us in our prayers to Mary to be peacemakers- in our families, in our neighborhoods, and in our world. If you have any time to help with either the Christmas Spectacular on December 8th or the Secret Santa Shop 12/8 thru 12/11, please take a moment to check out the VolunteerSpots to sign-up. We could really use the help, even if you only have a half-hour to spare! Click on the title to get to our volunteer spots! Thank you!